The first documentary in the ‘To the End of the Earth documentary series on The Irish Military Diaspora in South America’ series focuses on the life of Ambrose O’Higgins and how a boy born in Co Sligo in 1720, attained one of the highest political positions in 18 Centaury South America. His story takes us on an epic journey from Ireland to Spain, Argentina, Chile and Peru and explains how changes to the political landscape here in Ireland helped shape the world right to the end of the earth. Dr James O’Higgins Norman, Ireland. Sergio Martin Baeza, Santiago, Chile, Rodrigo Pardo, Santiago, Chile, Claudia Mariella Alvarez Chávez, Lima Peru and Micheál Russell, Consulado de Irlanda en Peru. 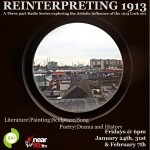 Quotes were read by Declan Cahill and Adrian Taheny. 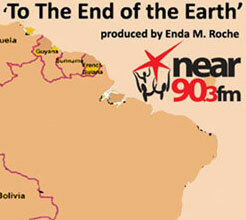 The ‘To the End of the Earth’ documentary series is produced by Enda M. Roche and is supported by the Broadcasting Authority of Ireland Sound & Vision fund.